Five years ago Mozilla’s Hive Chicago Learning Network was launched by the MacArthur Foundation as a citywide context for youth to learn and connect in ways that new technologies now make possible–learning that can happen anytime and anywhere. What has emerged is a thriving community of institutions, educators, and youth committed to the shared vision of Chicago as a connected community where all learning counts. On January 15 and 16, 2015, we will celebrate Hive’s anniversary by taking action at Hive Chicago Buzz, an event we’re informally calling Hive Is Five. We want you to join us. As we’ve seen over the past five years through collaborative innovation, there is real power in a network with shared vision. Our present challenge, however, is to continue to transform that vision into the kind of collective action that will itself transform the learning landscape for the benefit of the educators, teens and families we serve. For that, we need you. Beyond naming the challenges, however, the goal of Hive Is Five is to fully activate solutions to our challenges. Here’s how we’ll do it. Day 1 at the beautiful Chicago History Museum in Lincoln Park is a 3.5-hour combination of celebration and reflection: a chance to hear about the work Hive has done over five years; a gallery walk of select projects; and a moment receive calls-to-action for Day 2 as our first step into the future. It’s a celebration of Hive as an emergent community that is responding to learning in the digital age. Day 1 location: the Chicago Room at the Chicago History Museum. Day 2 at the innovative Blue 1647 in Pilsen is an 8-hour hack day with sessions organized around seed ideas that need partners who can help them grow. Register for Day 1 and Day 2 while you can. Tickets are limited. In addition to sourcing calls-to-action, our members have proposed a collection of “seed solutions” for each Moonshot. These ideas are the seeds of future projects and progress. The sessions during Day 2 are organized around these ideas. By bringing these proposals to the party, our members are playing the important role of those who activate solutions, particularly those members who have volunteered to be accountable for each Moonshot. To achieve the goal of fully activating solutions for sustained progress we need to partner with those who can enable that progress. Because Moonshots are ambitious, they aren’t problems we can fully activate on our own without the contributions of those possessing needed resources, skills, and existing solutions. The sessions are where our seed solutions will meet the unique contributions of new partners who can enable progress. Work doesn’t happen without people who can do it. You may not fit the category of those who activate or those who enable, but we invite you to step forward as those who do–the people who can commit to ensuring that the seeds planted at Hive Is Five (Hi5) actually grow into real solutions. Why are we celebrating our fifth anniversary this way? It’s because we believe in the magic of getting people in the same room. It increases our potential for collective action. Although we don’t often use the words “collective action” to describe what we do, this is an ideal that has deep roots in the network. It grows from our collaborative approach to youth project development through the Hive Fund. It grows from our embedded practice of monthly meetups (see recaps in our blog) where best practices are shared, community is built, and ideas evolve into action. And it grows from the commitment to affinity groups of professionals joined together to address their everyday problems of practice. This progression toward collective action has been significantly supported over many years by Hive members, our Advisory Committee, Moonshot Accountables, and Hive staff. Chicago City of Learning’s May 2014 “Destination: Chicago” at Jones College Prep, a Hive-supported Maker Party that served more than 1000 youth and family members. Mozilla’s stewardship of Hive Chicago has also extended our belief in the creative potential of convenings for collective action. From the global Maker Party campaign, which has provided hands-on learning events across the globe in places as diverse as kitchens and gymnasiums, to the annual Mozilla Festival in London, Mozilla likes a good learning party where people are inspired to build new futures together. In October 2013 a group of Hive members traveled to MozFest, bringing back to Chicago an experience which further influenced our development of Moonshots in 2014. Within a year from MozFest 2013, a new group of Chicago travelers was back in London to join the first ever Hive Global meetup, and to support the 3-day Action Incubator which was heavily influenced by the Moonshots process, bringing the power of the party full circle. See here for some of what emerged from that Action Incubator. 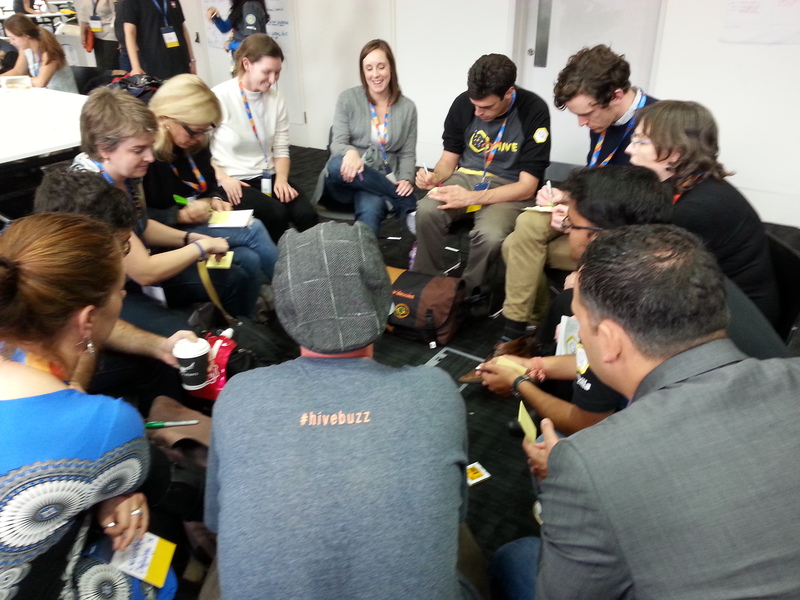 Action incubation in the Hive Track of MozFest 2014 in London, supported by lessons learned through Hive Chicago’s Moonshots. Now we are injecting this same spirit into Hive Is Five–from MozFest to Moonshots. Five years after Hive Chicago was born, the network continues to be a context from which real solutions emerge from a community of practitioners and their problems of practice. We are formalizing this at Hive Is Five. Beyond this one-time event, we hope our anniversary celebration will live on as an annual series Hive Chicago Buzz parties. The output of these events is not just a party, but specific mechanisms for generating more solutionary tools at scale. More than a source of innovative products and programs, this process is designed to be a fundamental transformation of the networked context from which solutions emerge, spread, and scale. So, if you plan to join us for the event–and we do need you–some words of advice. Like MozFest, Hi5 is about action. If you don’t see it, make it. If there’s a missing piece, fill it. Need a website? Create it. Want a twitter campaign? Launch it. Don’t wait. Don’t ask permission. Do it! There will be a lot of voices in the room. Be sure yours is heard. But be sure to hear the other voices, too. This diversity of perspectives is key to activating the wisdom of the crowd. At Mozilla we have a motto: less yack, more hack. We will honor that action-oriented spirit, while also recognizing that activating sustained collaborations will require some conversation too. Talking and doing must be held in balance. 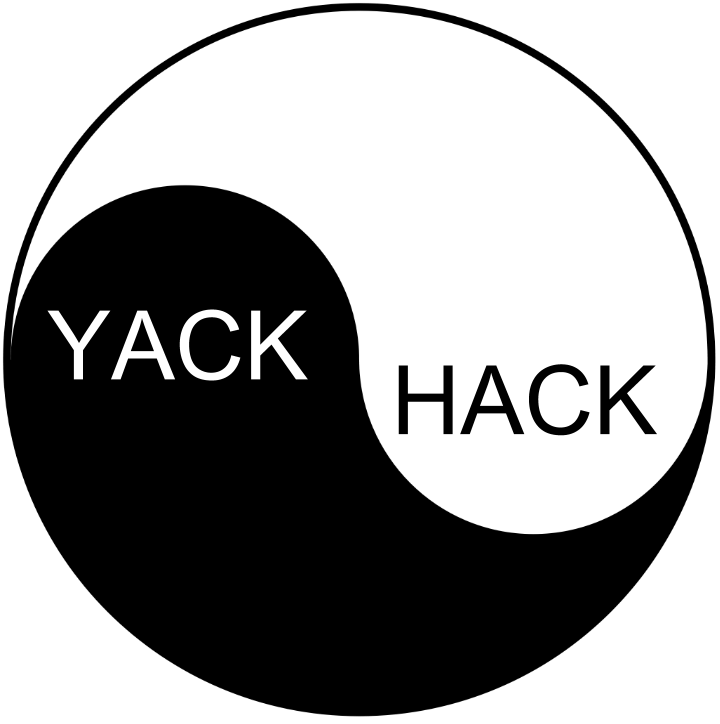 So our motto for this event: just enough yack to maximize hack. Please join us! Register here for Day 1 and Day 2 while you still can.